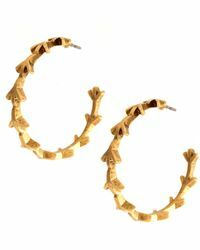 Low Luv by Erin Wasson earrings are the perfect choice for those looking to add a bohemian edge to their outfit. Created by American model Erin Wasson, this hippy-inspired jewellery is clearly influenced by the natural world, with wings, bones, birds and skulls featuring heavily in the designs. 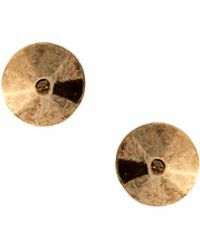 From studs, to chandelier and hoop styles, every pair of earrings in the collection comes in an antiqued finish, meaning these rustic silver, bronze and yellow gold-plated styles will lend a carefree air to any look.